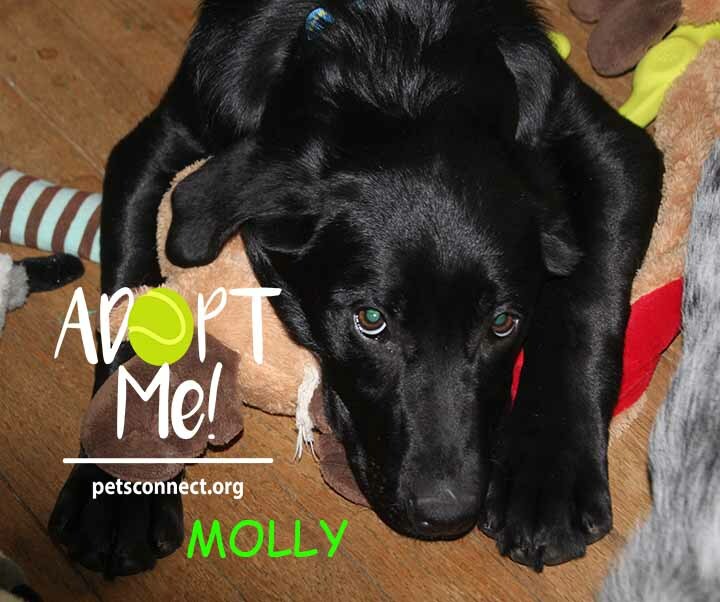 How in the world could we say no to Miss Molly? Not when she looks like a Scooby look-alike! So, how did she land in our rescue? 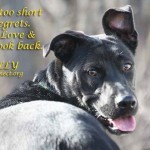 We had room for some dogs in our foster program so we went to one of our local animal shelters to do what we fondly call ‘shopping’. 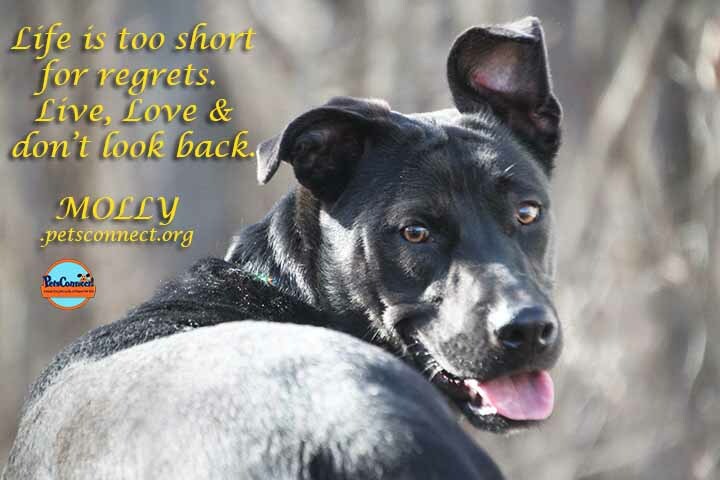 The kennel supervisor pointed to two dogs, Cali and Molly and asked if we would like them. 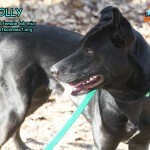 I had to take a double look because Molly looked just like Scooby, a male dog already in our program. And they are both about the same age too. And they act a lot alike but that may be the adolescent behavior they both exhibit. Scooby has a shorter more dense coat while Molly’s is a bit more like a lab, a little longer and not as sleek. Brought Molly home and put her out with Scooby and they shot off running down the yard and both cleared the acre lengthwise at the same time! They love to run and play tug and bark at the chickens. They both play very well with other dogs too. 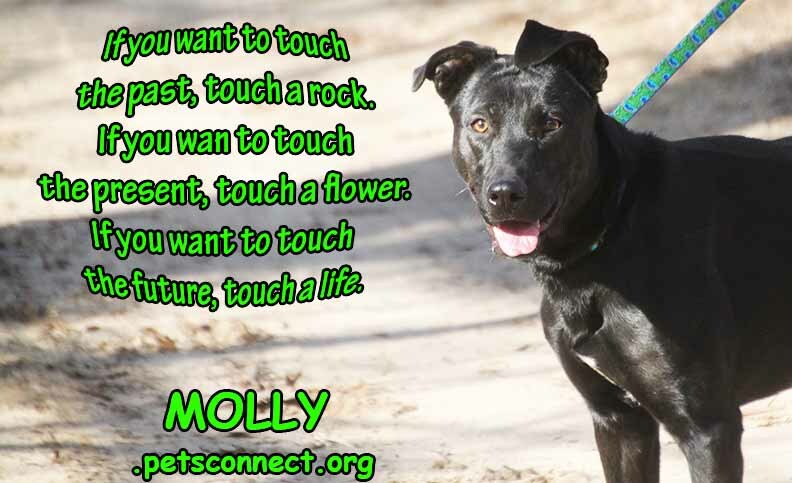 Molly is a sweet girl with lots of potential. She does not seem to have a mean bone in her body and I suspect she would do well in most situations. Molly is a puppy, an older puppy but still… so, here is our doggy obedience spiel. 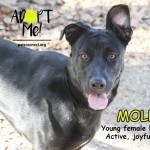 I think Miss Molly would be a nice family dog or a great companion for a single person or couple. 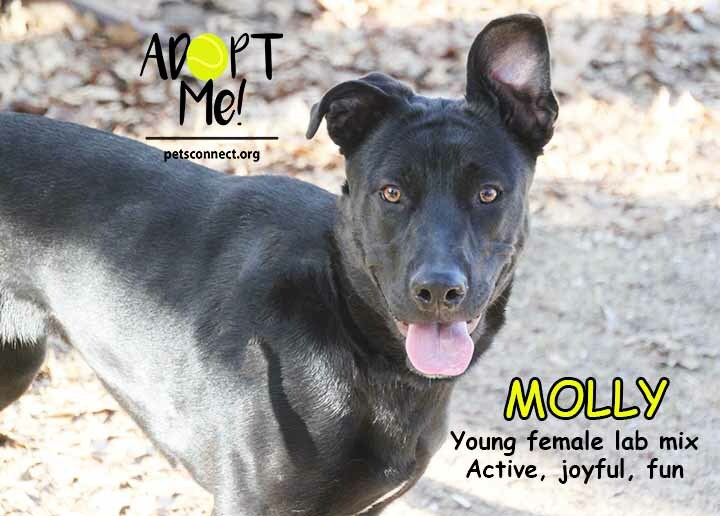 She could be a running dog, an agility dog, a rally obedience dog and with some training, a pet therapy dog. Puppies enjoy their new bed!